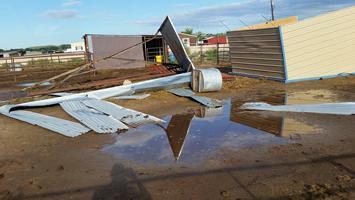 Last night a storm came through FCER and destroyed our storage shed and one run in shelter. 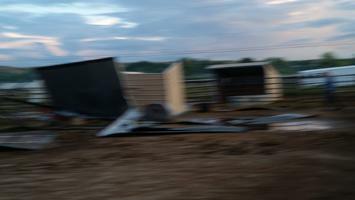 Three other shelters are mangled, but repairable. Remarkably, all the horses are okay. Ashanti and Chance each got a scratch. Absolutely amazing. The shelter that was destroyed went through Pomona and Ashanti's pen. 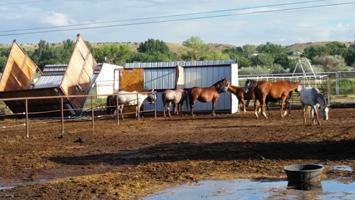 Our two wildest mares, and they dealt with it. Ashanit has one small scrape on her right hind canon bone. Everyone is okay. 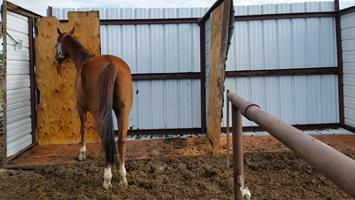 The only other injury was to Chance, our TB gelding. A small scrape across the back of his hock. The place will be okay again. It'll just take some work and some funds. We are very fortunate. Today was about getting the most important things done. Breaking it out into repairable and replacement. 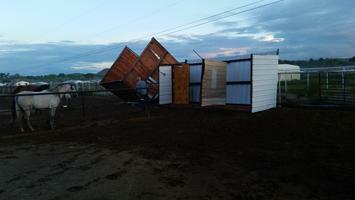 One shelter is gone, 3 can be repaired. 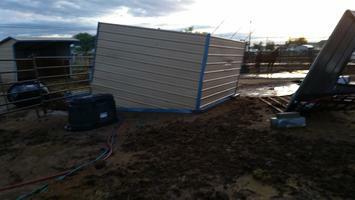 The storage shed, which the electric connected to, is gone. Water from the well is number one. 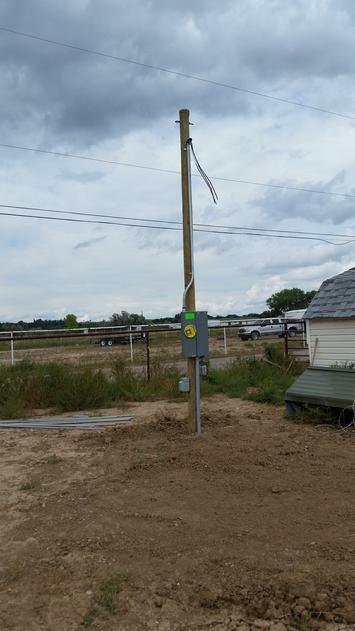 Thanks to a generous donor we have the money for the electrician to put in a new pole for our meter. 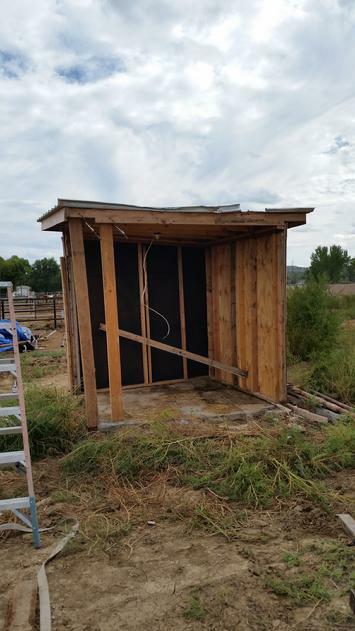 Next up will b replacing the storage shed. 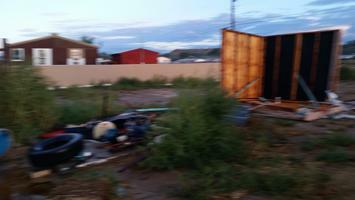 In the meantime we need the skilled labor to repair the other 3 shelters. Hopefully it will come to pass in short order. 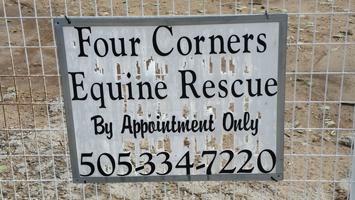 But most of all - the horses are safe. Pomona and Ashanti are our 2 wild range mares, and I wonder if that instinct didn't keep them safe as two shelters tumbled across their pen. I can't imagine their fear and thought processes throughout this storm.